Yamaha makes Maxwell's departure official ahead of 2019 campaign. Reigning national Supersport champion Cru Halliday will return to the premier class next season after inking a deal to join Daniel Falzon at Yamaha Racing Team in the 2019 Australian Superbike Championship (ASBK). Halliday, 30, replaces the outgoing Wayne Maxwell – who has been linked to Team Suzuki Ecstar – while multiple Superbike title winner Falzon will form part of Yamaha Motor Australia’s factory squad for a second term. “Sometimes you have to take a step back to take two steps forward and that has certainly been the case over the last 18 months for me,” Halliday commented. “The last-minute call up to the 600 last year made me look at how I go about racing and then to put together the season we did as a team on a new bike leaves me more confident than ever that I can succeed in the Superbike class. “To have this opportunity with John [Redding] and YRT at the top level is something I thought would never happen again, but it made me realise to not take anything for granted, work hard and create my own chances in life. 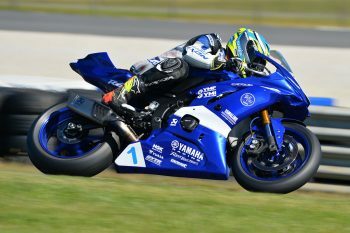 Halliday has been a mainstay at Yamaha since commencing his road racing career a decade ago, first joining YRT in 2012. 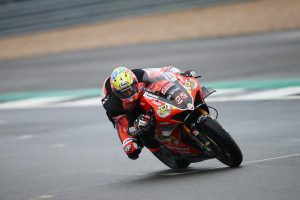 He has remained part of the program aside from 2017, in which he collected sixth in the final Superbike standings as a privateer aboard a YZF-R1M. After finishing fifth in this year’s ASBK title-chase in his first season as part of the factory team, 24-year-old Falzon is looking to capitalise on that experience gained aboard the R1M in a bid to battle for podium results. “Up until last year I had pretty much done things myself, so it was a big change for me to work in a team environment and learn how the team go about things,” Falzon said. “Now, I think we all have a better understanding of each other and learned how to get the best from ourselves and the bike. “Last year my goal was to finish inside the top five every race and limit the big mistakes which I had made in the past. For 2019 it’s time to step it up again and target race and round podiums which I think is very achievable given the bike and the team. The 2019 season marks a new era of sorts for Yamaha’s factory team after parting ways with longtime team leader Maxwell, however YRT owner John Redding is confident that the combination of Halliday and Falzon will be a strong one. There has been no mention of the team fielding the factory R6 again, vacated by Halliday. 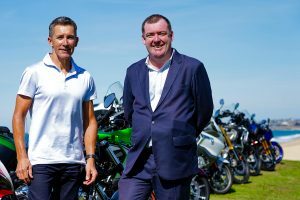 “Every year gives riders and teams a chance to take stock, reset and hit the new season with some energy and vigour and I think YRT will be a vibrant environment in 2019,” Redding explained. “We have two riders who are determined for success and have been around long enough to know what it takes to win at this level.